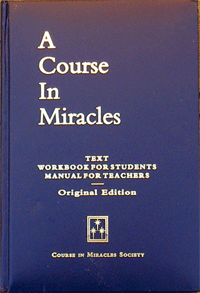 WHO EXACTLY IS A COURSE IN MIRACLES WRITTEN FOR? You cannot have a false sense of nothing. You cannot have a distorted perception of nothing. You cannot have a counterfeit of nothing. It must be a distorted sense of something. It must be a counterfeit of something. You cannot have a counterfeit $4 bill, because there is no real $4 bill to be counterfeited. ANSWER: The difficulty lies in the fact that the Course, itself, is written for a readership of egos who do not realize that they are egos, who do not realize that there is any alternative to the means of perception which the Course refers to as ego perception. Therefore, for those who believe that “what they see is what they get,” and that that is all there is to everything, there needed to be a clear statement of the illusory nature of everything that was being experienced–that egos viewing life through the lens of the ego, were experiencing a distortion that could not be taken as fact, that could not be taken as real, because the perception did not allow for an awareness of God in it. This set of books was addressed to those who have embraced the Darwinian theory of evolution, of physical evolvement out of nothing by pure random chance–no underlying intelligence behind it or underneath it, but order that just happened to happen. The phrase, “ashes to ashes and dust to dust,” reflects this evolutionary, physical interpretation of everything that is going on as though what comes into existence is very temporary and then goes back into nonexistence–all of it simply being the effect of matter, of physical evolution. From within that frame of reference, the experience of everything is false. And this fact needed to be bluntly and clearly stated so that it might dislodge those who read these books from their confidence that they grasp what everything is, and that they are interpreting it and experiencing it correctly. You see, that involves a shift, a stepping back from automatic confidences and inner assurances, and causes one to look beyond, or somewhere else. In that looking, in that inquisitiveness, one puts oneself in the position of inspiration, of enlightenment, of the registering of what the Holy Spirit is conveying, the registering of what is Really going on, which has been blocked by one’s confidences that he knows just exactly what this physical world is, and is fairly confident that he knows where it came from and how it came about. In the act of inquisitiveness, of openness, it becomes possible for what the Father is to register with one. This is why the Course was written in such unequivocal terms. The terms do not allow one to hang onto even their highest concept of what the earth and what the world and what the body is. It doesn’t allow one to harbor pet theories–even more enlightened concepts of what it all is than everyone else has–because even those stand in the way of one’s being receptive to the truly undistorted perception of what everything is. You could say that the Course is the great “un-rutter.” But, something must come after what has been un-rutted. Now one has freedom of movement. One is not caught in a channel from which there can be no variation. Out of the rut there is total freedom of movement, so there must come an experience and an understanding of the territory in which this freedom is occurring. Now comes the opportunity to more correctly discern the world that has not disappeared, and understand it in the context of the infinite expression of the Father. In my working with those who find their way to have a conversation, this perspective is being provided as well. You see, as I have also indicated, you cannot have a false sense of nothing. You cannot have a distorted perception of nothing. You cannot have a counterfeit of nothing. It must be a distorted sense of something. It must be a counterfeit of something. You cannot have a counterfeit $4 bill, because there is no real $4 bill to be counterfeited. That which the ego has been looking at has been the presence of the Father. But the ego, in order to maintain its apparent and supposed existence, must deny the existence of the Father, and so the ego redefines everything in its own distorted way. Tell me, if you wish to take the first narrative of Creation given in the Bible, in which everything that was made was made, and the Father beheld it, “and behold, it was very good”–in other words, the Father saw Himself in it–why is it that there needed to be a second description of Creation, which truly refers to the ego’s process of re-identifying what the Father has made, in which everything becomes named? Everything already was. It was what it was, and what it was was known and experienced fully. There was no need to name it, except that the ego, in order to succeed in denying the Father, had to redefine that which the Father had already defined as His own Self-expression. The ego needed to redefine it in its own terms, thus apparently making that thing independent and different from what was truly the only creative Movement, which is described in the first chapter of Genesis. Now, the process of Awakening is a process of releasing the ego’s definitions, which are false, and, along with those false definitions, the distorted experience of That which has always been as the expression of the Father. One becomes freed from concepts or definitions and receptive to the clear, undistorted experience of what the original Creation was and is that required the ego to redefine It in order to apparently make a creation unlike the Father’s. Mind you, the ego is incapable of creating anything. Therefore its “creation” was constituted of a distorting of the perception of the only Creation there was, and, by virtue of that false definition, causing the only Creation there was to appear to be unlike its Source, and therefore independent of the Father. So, you see, literally everything the ego sees, which is constituted of its biasing of Creation Itself, is false, and cannot achieve great heights. It cannot exalt itself and become worthy of entering the Kingdom of Heaven. The biased perception of Reality will fade. It will dissolve. It will no longer be. But there will not be a void in its place. What will be left will be the original and ongoing Movement of Creation that the Father is and always has been being. But, I will tell you that your experience of It will be radically different from your experience of It now. The key factor that needs to be understood is that once one is unrutted, one cannot continue walking around in a state of denial, stating that “there can be no God in my experience because it is all illusion.” If one continues to deny the body or the forms in the world, one is denying the very place where the Father is being the Movement of Creation with absolute perfection. And if one is turning away from it on the basis that it is “absolute illusion” (which is like talking about dry water), one then does not have his attention in the very place where the Father is present to be recognized. That is nonproductive, and it inhibits the further experience of freedom that is now necessary since one has become un-rutted. I am not contradicting what the Course says. What the Course says still stands. 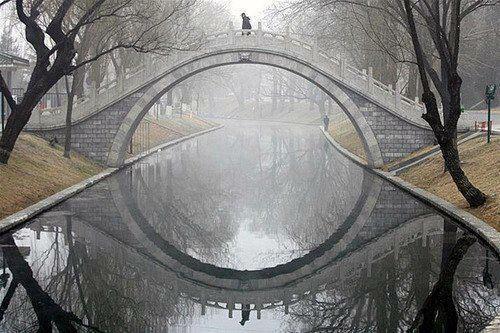 You must understand that it is referring to everything that is seen from within the ego’s frame of reference. As one moves out of the ego’s frame of reference and accesses his or her own greater capacity to be aware divinely, the distortions and the limits of the ego’s frame of reference begin to fall away, and greater evidences of harmony begin to unfold. 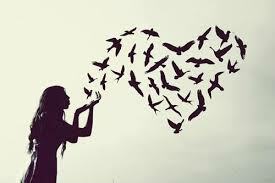 The undistorted perception of Reality “comes to view,” and it is experienced as transformation or healing. The fact is that one must recognize that unless he or she is totally awakened, whenever he or she looks at anything, he or she is not seeing its absolute divine Meaning. One is still seeing, to one degree or another, the distortion inherent in the ego’s frame of reference.